Keep in mind though that they work with manufacturer’s disclosed ingredients and not lab tests. Also keep in mind that some ingredients have had no research and therefore there are no publicly known health effects. This does not mean they are safe. It just means there’s no data. Also, before you decide to switch to an A product, be sure to click on the actual product listing to see how many questionable ingredients they have, as quite a few of them have more C’s than A’s !!! (???) and even some D’s thrown in. I’m not sure how a product rates an A with C’s and Ds in the mix, but I saw a few. I also noticed that some of the A rated products are products that I can’t be around, and saw one that didn’t have the preservatives listed. I’m sure there are many other unlisted ingredients too, like fragrances, for example, which have been trade secrets for decades, but are known to contain hazardous chemicals. So why am I suggesting people use this tool? Because it’s a really good starting point on what to avoid, and we don’t have other resources that are better! Free and Gentle products should NOT be scoring Ds or Fs! Unfortunately, just being fragrance-free doesn’t mean safe and healthy. P.S. If you use laundry products with any kind of fragrance added, you are not fragrance-free and should avoid places that have fragrance or scent-free policies. Call your fave brands and tell them you expect better! Talk to your neighbours to see if they are affected and ask what they recommend. Find a company that discloses ALL ingredients (and research them). Use less product than is recommended (they all want to sell more). An extra rinse can help remove residues and reduce exposure. It’s ok to wash your things less frequently too! Choose products that are healthy for you, your family, and your neighbourhood! This entry was posted in Air Quality, Chemicals, Community, Environmental Health, Housing, Laundry, Pollution, Public Health and tagged allergies, asthma, cancer, chemical sensitivity, Fragrance, fragrance-free, free and gentle, GAIN, hazardous air pollutants, health, IAQ, invisible disabilities, MCS, MCS/ES, petrochemicals, Tide, toxic trespass, ultra pure, VOCs. Bookmark the permalink. Our lawmakers should be able to ensure “safe” laundry detergents for the whole population! Simple answer to the producers — take all smelly and unsafe ingredients out — or be heavily fined. Agreed… and there should be no right to pollute… We should have the right to a healthy environment! “Fragranced laundry products emit a range of VOCs such as acetaldehyde, acetone, ethanol, α-pinene, linalool, and d-limonene (Steinemann et al. 2013). Some of these VOCs are classified as potentially hazardous and can have adverse effects on human health and the environment (Mendell 2007; Rumchev et al. 2004; Spengler et al. 2000). In particular, exposure to d-limonene has been associated with adverse health effects such as skin and eye irritation (NIH 2018) and breathing difficulties such as wheezing or coughing (NICNAS 2018). Furthermore, terpenes such as d-limonene can react with ozone to generate hazardous air pollutants such as formaldehyde, acetaldehyde, and ultrafine particles (Nazaroff and Weschler 2004). “Fragranced laundry products emit a range of volatile organic compounds, including hazardous air pollutants. Exposure to fragranced emissions from laundry products has been associated with adverse health effects such as asthma attacks and migraine headaches. Little is known about volatile emissions from clothes dryer vents and the effectiveness of strategies to reduce concentrations and risks. This study investigates volatile emissions from six residential dryer vents, with a focus on d-limonene. 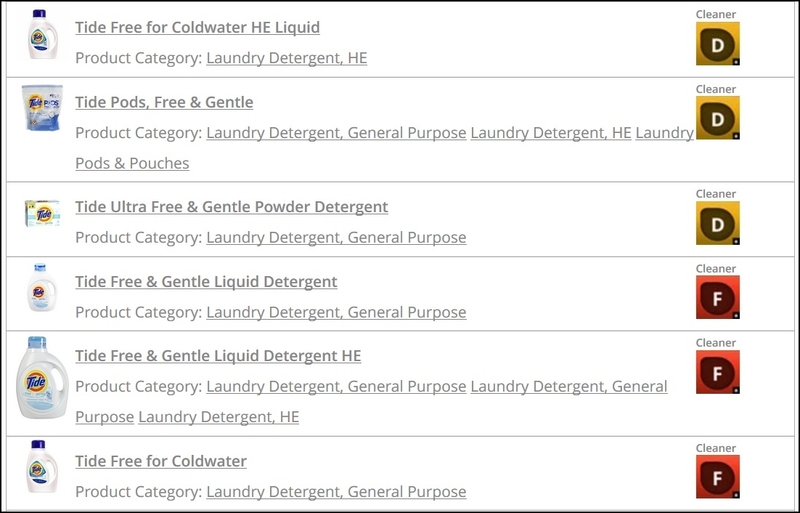 It analyses and compares concentrations of d-limonene during use of fragranced and fragrance-free laundry products, as well as changes in switching from fragranced to fragrance-free products. In households using fragranced laundry detergent, the highest concentration of d-limonene from a dryer vent was 118 μg/m3 (mean 33.34 μg/m3). By contrast, in households using only fragrance-free detergent, the highest concentration of d-limonene from a dryer vent was 0.26 μg/m3 (mean 0.25 μg/m3). After households using fragranced detergent switched to using fragrance-free detergent, the concentrations of d-limonene in dryer vent emissions were reduced by up to 99.7% (mean 79.1%). This simple strategy of switching to fragrance-free products significantly and almost completely eliminated d-limonene emissions. 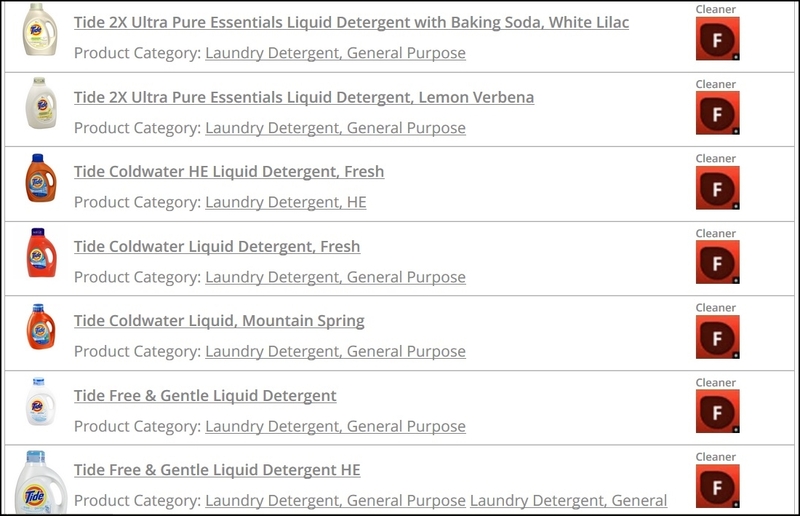 Note that most conventional name brand and some “green” fragrance-free laundry products still emit hazardous chemicals (see the chart in the research paper and/or in the link in the post above), so to get a truly inert laundry product is not as easy as it should be. Manufacturers and legislators have a lot of work to do and we have to push them to act! Common laundry products, used in washing and drying machines, can contribute to outdoor emissions through dryer vents. However, the types and amounts of chemicals emitted are largely unknown. 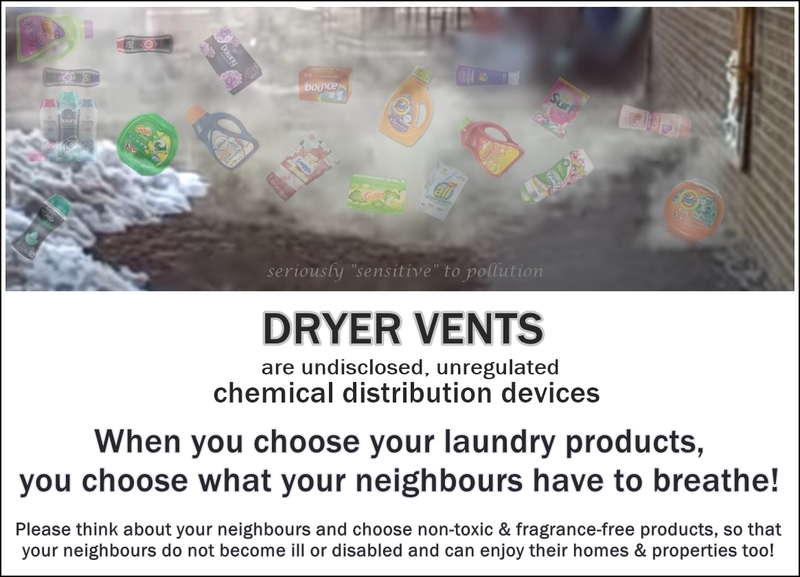 To investigate these emissions, we analyzed the volatile organic compounds (VOCs) both in the headspace of fragranced laundry products and in the air emitted from dryer vents during use of these products. 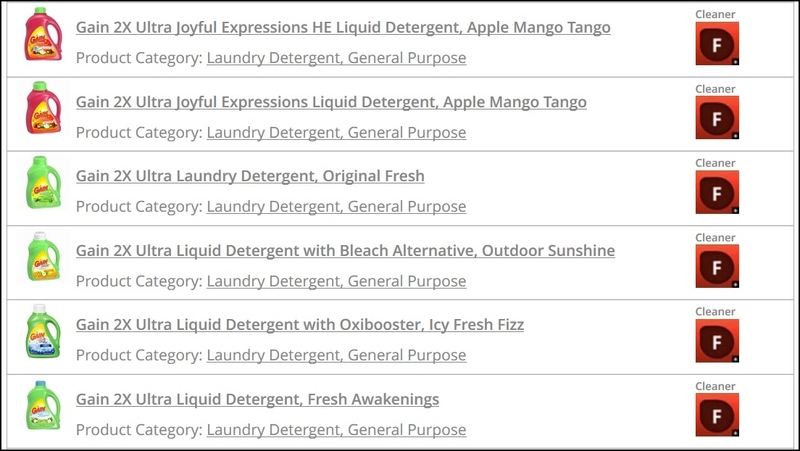 In a controlled study of washing and drying laundry, we sampled emissions from two residential dryer vents during the use of no products, fragranced detergent, and fragranced detergent plus fragranced dryer sheet. Our analyses found more than 25 VOCs emitted from dryer vents, with the highest concentrations of acetaldehyde, acetone, and ethanol. Seven of these VOCs are classified as hazardous air pollutants (HAPs) and two as carcinogenic HAPs (acetaldehyde and benzene) with no safe exposure level, according to the US Environmental Protection Agency. As context for significance, the acetaldehyde emissions during use of one brand of laundry detergent would represent 3% of total acetaldehyde emissions from automobiles in the study area. Our study points to the need for additional research on this source of emissions and the potential impacts on human and environmental health.